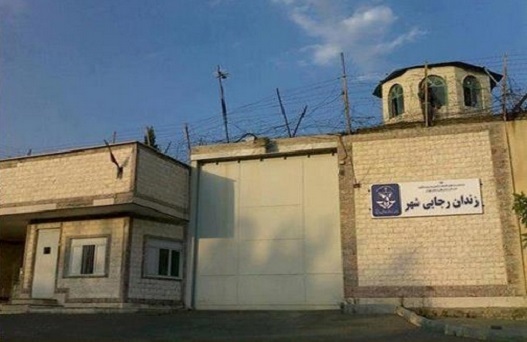 Riot control guards have raided prison ward 4 associated with Sunni prisoners on death row in Rajai Shahr prison in Karaj, Iran. The riot control police known as the Black Guards then cuffed 30 Sunni prisoners and transferred them to an undisclosed location. Human Rights Activists News Agency (HRANA) confirms that the Black Guards have raided prison ward 4 in Rajai Shahr in the afternoon of 1 Aug 2017. Antiriot guards then transferred the Sunni prisoners outside of the ward. There are no reports on the whereabouts of these prisoners. Most of these prisoners are the ones whose death sentence was finalized by the Supreme Court in Iran. They belong to the Sunni minority groups in Iran, mostly Kurds, Arabs and Balouchis, who have been arrested on national security charges. The guards stormed ward 4, blindfolding prisoners and cuffing their hand and leg. They then transferred them to outside of ward. Sources inside the prison could not confirm where the guards took the prisoners. The Rajai Shahr prison has extended extra security measures and human rights groups fear that the 29 Sunni prisoners whose death penalty verdict has been approved by the Supreme Court face imminent death. The number of prisoners who have been escorted out of ward 4 is around 30 but sources inside prison could not confirm the exact number. Inmates in Rajai Shahr have not been given outdoor breaks for exercise or smoking all day on 1 August 2016. The prison authorities are saying that no fresh air breaks are allowed because the prison is on high alert. Before these inmates were transferred, there were a total 36 Sunni prisoners of conscious in ward 4, hall 10, who have been given death sentences. Of them 29 sentences are final and have been approved by the judiciary’s Supreme Court. Seven of them have received death penalties but the final sentence has not yet been approved by the judiciary, a condition that finalizes any death penalty case in Iran and puts the inmate on the death row. 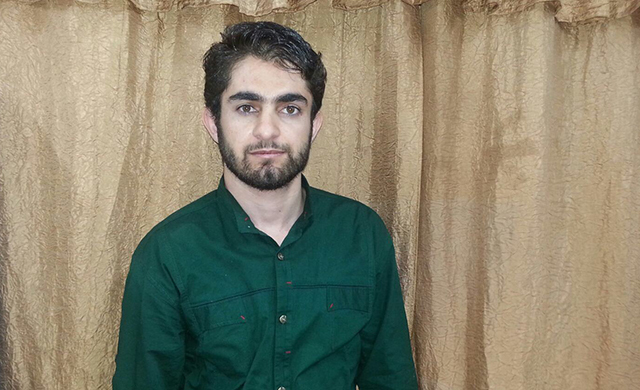 One of these prisoners who were taken by the guards is Shahram Ahmadi, which became a highly publicized case. He had appealed his sentence but on 29 June 2016, judiciary officials met with him in prison to inform him that his appeal was rejected and that he is now on death row. Shahram Ahmadi’s appeal of the death penalty was based on evidence that showed he had not committed violent acts against the state or people and was not a member of any armed opposition group. A social media campaign with the hashtag #SaveShahram has since been active to save his life. Ahmadi’s lawyer has been a vocal critique of the judiciary’s treatment of Sunni prisoners arguing that in the case of Shahram Ahmadi the assumption that his client is a member of opposition group was the only evidence provided by the prosecutor to punish him to death. He is arguing that most cases are build based on state intelligence assumptions and not facts. Before today’s raid, a forced confession program was run on national television in Iran that showed some of these prisoners confessing to crimes. In the last week of July 2016, camera crew visited Rajai Shahr prison and filmed Sunni prisoners in a ward that was cleaned up and staged. Prisoners who had been in prison for more than 8 years were then forced to confess on camera. Forced televised confessions are common practice of Islamic Republic of Iran intelligences services. The confessions of the Sunni prisoners of Rajai Shahr were aired with the title “Depth of Darkness” on state owned media. The airing of the forced confessions paired with the transferring of Sunni prisoners to an undisclosed location has put Iranian human rights groups on high alert about these prisoners who could be facing death imminently. These Sunni prisoners are sentenced to death on charges like propaganda against the state, membership in Salafi groups, membership in Kurdish militia groups, “corruption on the earth” which usually translate to taking up arms and or membership in armed opposition groups that fight for minority rights in the Shiite dominant Iran. Most of these prisoners have been arrested between 2009 and 2010 in Kurdistan, and have been kept in solitary confinements for months before the trial, without any access to legal help.